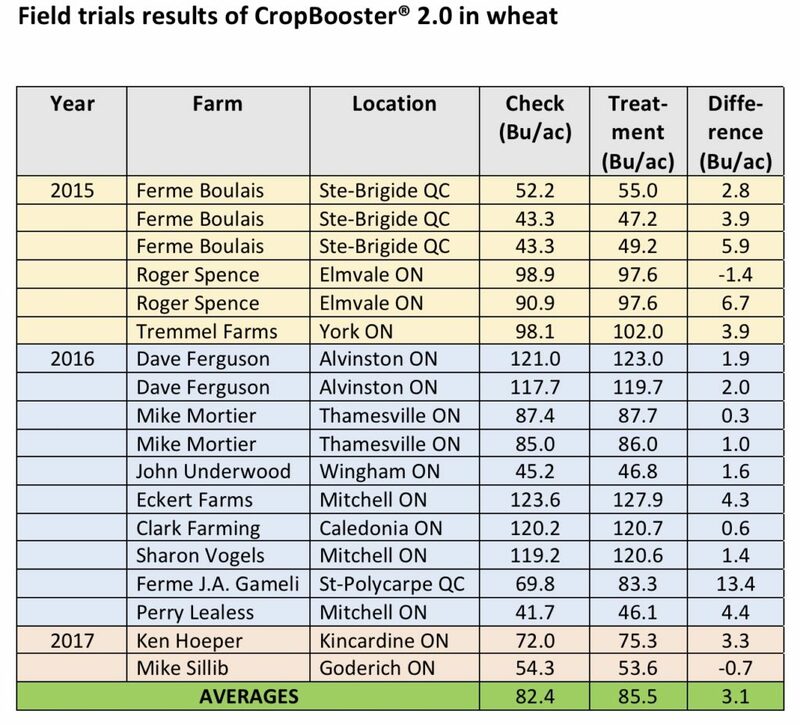 Trial results on CropBooster® 2.0 in wheat are piling up. Axter has accumulated three years of data from field trials in Ontario and Quebec. This rich database tells a lot about the biostimulant’s performance under various weather, soil and management conditions. CropBooster® 2.0 improves plant’s tolerance to abiotic stresses such as the one that may be caused by a herbicide application. Its efficacy relies on a specific mix of organic acids and micronutrients. CropBooster® 2.0 label is available HERE. • CropBooster® 2.0 improved wheat yield by an average of 3.1 bushels per acre. The highest gain reached 13.4 bu/ac. • The biostimulant generated a yield increase 16 times out of 18, which translates into a win percentage of 88 %. 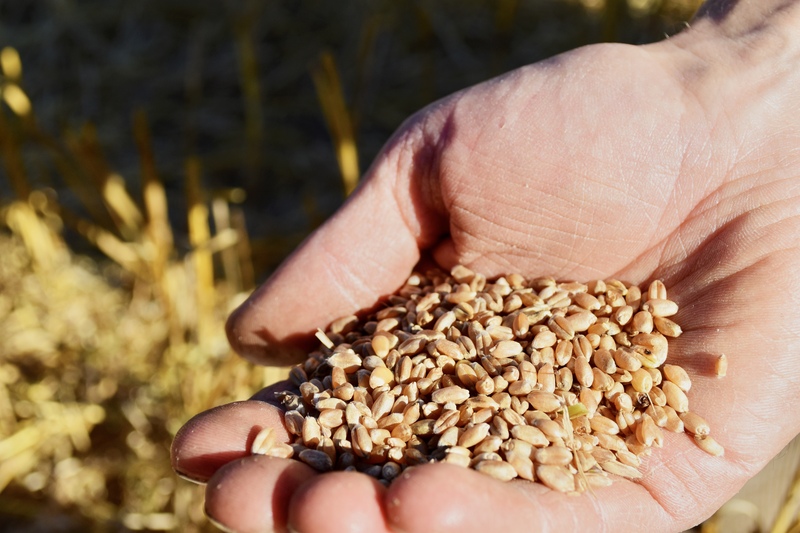 Based on a wheat price of $190.27 per ton and a biostimulant cost of $6.85 per acre, relying on CropBooster® 2.0 led to an average additional income of $16.05 per acre. Take note that the use of CropBooster® 2.0 brings no extra field work since it is added to the herbicide mix.